Home › Social Media › Social Media Marketing › How can you start using hashtags effectively on LinkedIn? Weave hashtags into your LinkedIn profile, especially your summary and/or headline. The easiest way to make this change is to turn the keywords in your LinkedIn summary into hashtags. I would avoid putting too many hashtags into the copy above this section because you want your profile to flow. The hashtags are to help you get found in LinkedIn’s search engine when prospects or buyers are looking for someone who does what you do. Start using hashtags in your status updates. I caution you to start slowly weaving these hashtags into your status updates because you may annoy others if you get “hashtag-crazy” on LinkedIn. Instagram and Twitter users are accustomed to several hashtags in each post, while LinkedIn users are not accustomed to seeing/using hashtags. I recommend choosing a maximum of 3-5 hashtags for each status update. 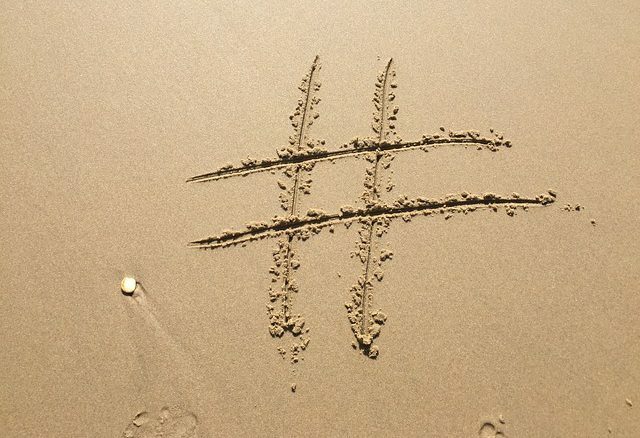 Start using hashtags with your LinkedIn Pulse articles. If you already use LinkedIn Pulse, you may have noticed that your reach and engagement has subsided, unless you are a LinkedIn influencer. To get your articles in front of more eyeballs, you need to use every tactic possible on LinkedIn. Weave hashtags into the body of your LinkedIn Pulse articles, or list them as keywords at the bottom of your article. Also, include those hashtags in the status update that shares your article when you publish it to LinkedIn Pulse. These are very easy changes to make, and they will help others outside your network discover your LinkedIn Pulse articles. Add hashtags to your LinkedIn Company Pages. Weave hashtags into your LinkedIn Company Pages, especially within the About Us section. You can easily do this by hashtagging your Specialties and including them at the bottom of the About Us section. Add hashtags to your comments on other people’s status updates. When you comment on other people’s status updates, you are building a stronger network. Simply weave in hashtags to ensure that your comments are helping to categorize status updates on LinkedIn. If you want your name associated with certain hashtags, this is one way to do just that. Start monitoring hashtags for opportunities to engage and listen. If there are certain hashtags you monitor on Twitter or Instagram, start monitoring them here on LinkedIn. You’ll have to do it manually (for now), but engaging with posts that are using industry/niche hashtags is one way to get noticed on LinkedIn, build thought leadership, and become a savvier social seller. If you’d like to learn more about social selling for LinkedIn and Twitter, watch my Biznology webinar video.